These one of a kind silver earrings are a modern take on a Victorian style. 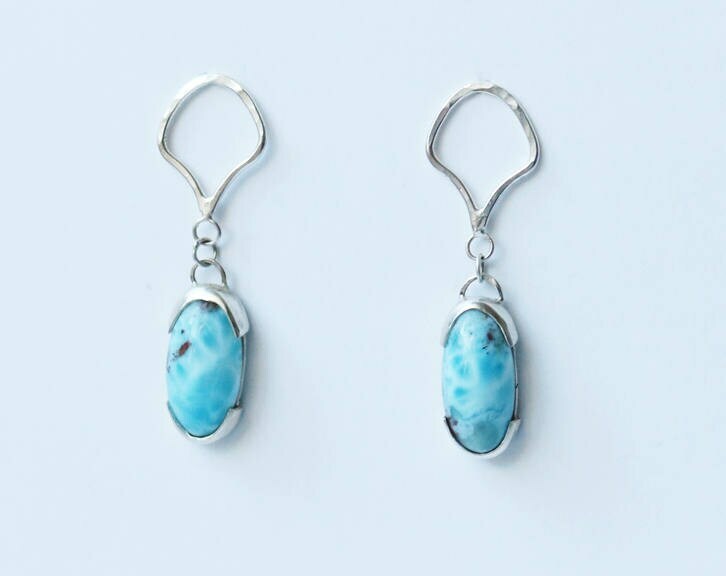 Set with 2 stunning 7/8" x 5/16" larimar cabochons, they are certain to complete any evening look. 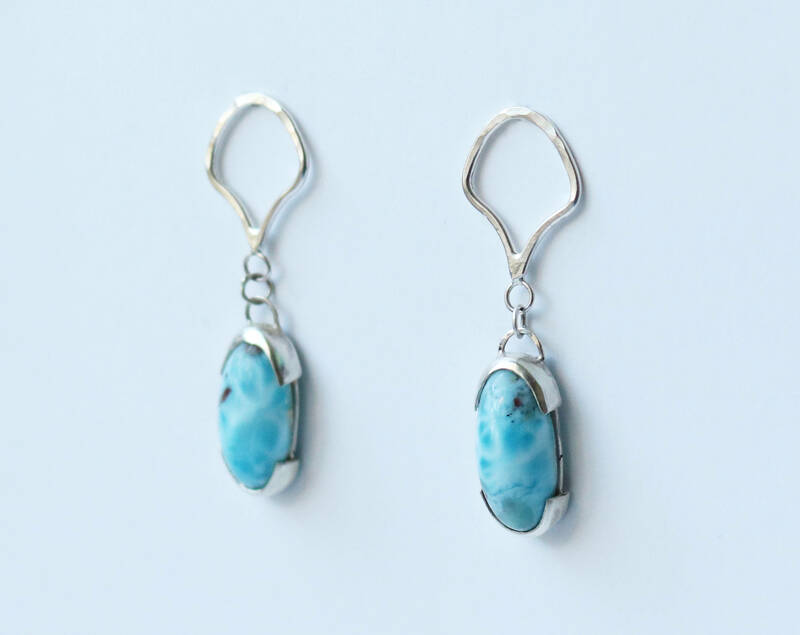 In crystal lore it is said that larimar helps to dissolve emotional barriers and to release stored negative emotions such as angry thoughts, remembered pain and other detrimental emotions that are not benefiting you. It is also said to aid in clear communication.